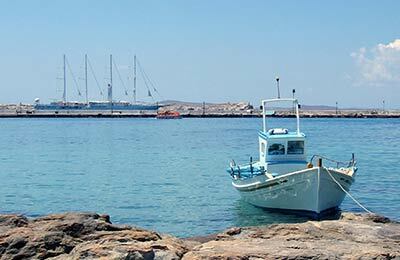 Agathonisi is a small Greek island in the North of the Dodecanese. The island's port is the settlement of Agios Georgios (Saint George) which is home to locals and a few hotels. 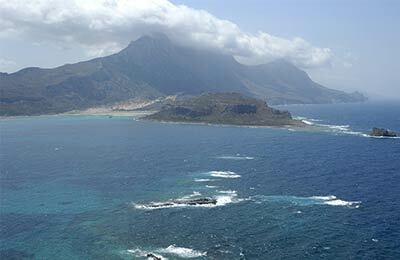 With AFerry you can book ferries to Agathonisi from Kalymnos, Kos, Leros, Lipsi and Rhodes. Ferries to and from Agathonisi are operated by Dodekanisos Seaways. Below you can find Agathonisi ferry times, as well as our best deals. Agathonis is a quiet island where people come to relax. Fishing is a big part of the culture so trying the seafood is a must, visit the taverns for traditional Greek food. Agathonisi is also a great place for snorkelling and taking long walks. There are limited services at the port itself on Agathonis, however due to the size of the island all amenities are within easy reach. The best way to get around Agathonisi is by foot. The port is the only means of access to the island so it is difficult to miss.